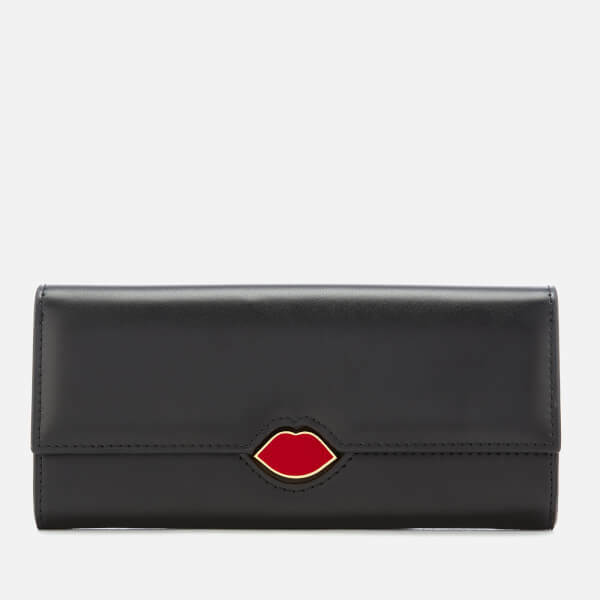 Smooth black leather wallet from Lulu Guinness. 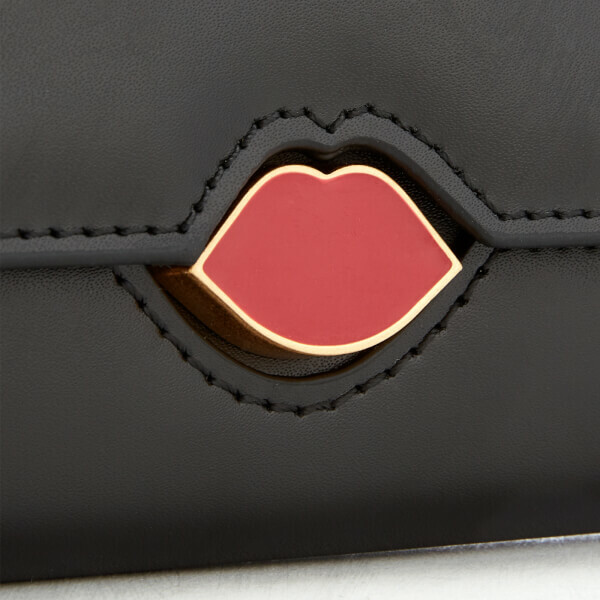 The ‘Cora’ wallet is designed with a signature metal lips inlay to the front in red and antique gold-tone metal. Secured with a magnetic closure, the purse comprises a central main compartment, four card slots and a zipped coin compartment. 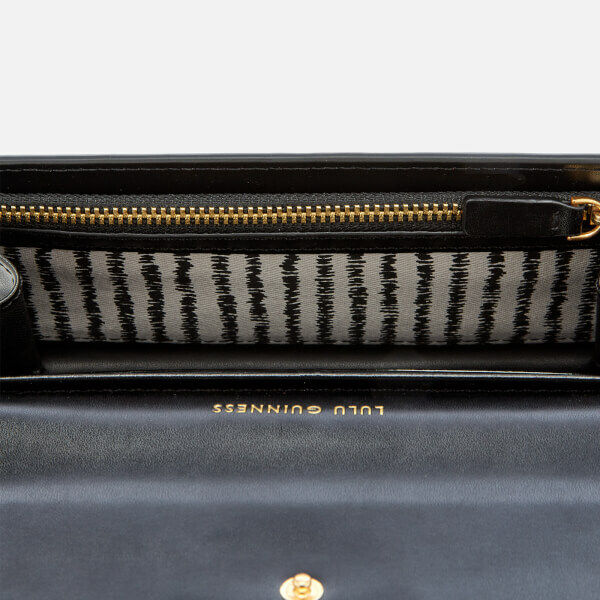 A slip pocket a gold foil Lulu Guinness logo on the revers add the finishing touches. Presented in a branded gift box.